We're excited to announce that we've released another update for the popular MH Magazine WordPress theme. While working on MH Magazine v3.4.0 we focused on design improvements and also implemented new functionality and support for latest WordPress functionality. As always, you can find a list of changes in the changelog for the MH Magazine WordPress theme. 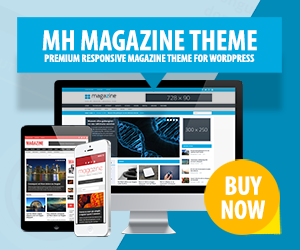 MH Magazine is one of the most popular magazine / news themes for WordPress running on thousands of awesome websites around the world (see examples in the showcase). Our large user base also comes with responsibility and so we're constantly working on meeting latest standards and keeping the MH Magazine theme up to date with the latest version of WordPress. With the latest implementations in MH Magazine v3.4.0 the minimum requirement now is WordPress 4.5. 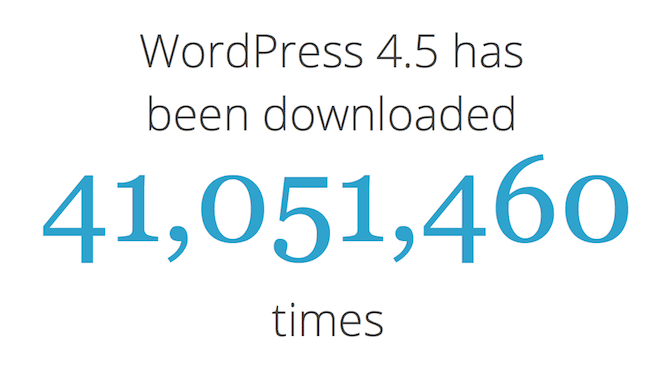 While the theme usually should not break if you're running older versions of WordPress, it's still highly recommended to update your website to at least WordPress 4.5. This is not only important to benefit from new functionality in WordPress, but especially to keep your website safe and secure because in general you shouldn't run outdated code on your website. As you know, MH Magazine is our flagship theme and we're constantly working on improving the theme to keep it up to date with latest standards, not only functionality, but also design. The MH Magazine theme has been released almost 4 years ago and while we've already performed several design adjustments in the past, some elements needed attention from a design perspective. In MH Magazine v3.4.0 we've adjusted the design of several elements to achieve a more modern look. Some sections of the theme were large blocks with background colors and while design nowadays usually is more lightweight, these sections have become a bit heavy from their appearance. In addition to several minor design adjustments, we've especially restyled the comment section, author box and share buttons to have a more modern and less heavy overall look. Under each post there is a navigation bar to navigate to the previous or next post on your website. This navigation area always was a bit boring from its appearance and not really worth its existance. We've been working on improving this area and have implemented thumbnails and post titles in addition to the previous / next links to make this feature more appealing and useful. Since WordPress 4.5 it's possible to upload a custom logo in your WordPress dashboard under Appearance => Customize => Site Identity. MH Magazine v3.4.0 now supports this feature and it's not necessary anymore to upload logos as regular header image. The header image feature has been adjusted a bit so that it's now mainly supposed to be used for full-width header images. Important: If you previously have uploaded your logo as header image, you need to remove the header image and re-upload your logo under Appearance => Customize => Site Identity, otherwise your header image / logo will be aligned without padding because of the implemented changes to make header images work as full-width header images. You probably know already that we've created several demos of MH Magazine to show what is possible with the theme and to give you inspiration for your website. To replicate some of the demos (e.g. MH Magazine – D8) it was required to add a few lines of CSS code to have a transparent header. In MH Magazine v3.4.0 we've now implemented a new layout option to enable transparent headers out of the box for more flexibility and new possibilites to adjust your layout. MH Magazine has included lots of widget areas so that you can arrange your layout as you like, simply by placing widgets. While this offers great flexibility for your website, users who are not yet familiar with WordPress sometimes have no idea how to use widgets in WordPress. To improve the onboarding process, we've implemented additional notices for the widgetized Homepage template that will appear when you've placed widgets in a way that needs further adjustments. We hope that you like the changes and improvements in MH Magazine v3.4.0 and we've already started working on the next update for MH Magazine which will include more great stuff. So stay tuned and keep creating awesome websites with WordPress themes by MH Themes.